Professional and affordable BBQ repair in Shelltown! HIGHLY RATED! We specialize in BBQ repair in Shelltown. Our services include BBQ repair, BBQ cleaning and BBQ restoration. We repair and clean all brands and models of BBQ grills. 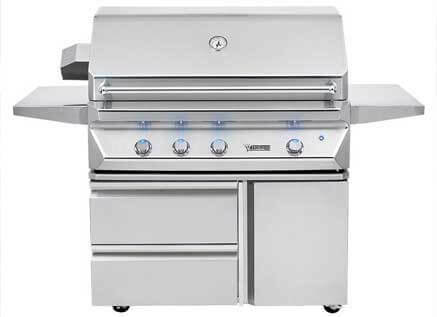 That includes such top models as Alfresco, Capital, DCS, Fire Magic, Kalamazoo, Lynx, TEC Sterling, Thermador, Twin Eagles, Viking, Weber, Wolf. Our highly skilled technicians are factory trained and certified in all aspects of BBQ repair. They can examine your grill and find what is wrong with this. They can also order the right parts for you and professionally install them. Our technicians will work on your grill until it’s fully functional and totally clean and safe. Customer satisfaction is guaranteed! Our company BBQ Repair Doctor has more than 30 years experience in BBQ repair and cleaning. We serve Shelltown, San Diego, Los Angeles, Ventura County and East Bay. We repair any type of BBQ grills including gas grills, charcoal grills, electric grills, portable grills and smoker grills and much more. We also repair and clean all other outdoor kitchen appliances such as patio heaters, pizza ovens, outdoor refrigerators, commercial ovens, charbroiler repairs and so on. If it is the part of your outdoor kitchen, we can fix it or clean it for you. No project is too big for us. We even do commercial appliance repair for the local restaurants, cafeterias, and catering. You can trust us to do the best job for you! 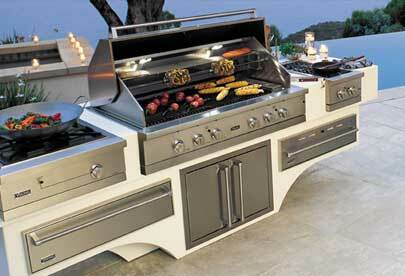 If you are looking for a BBQ repair in Shelltown, give us a call at 858-433-0703. We will schedule a convenient appointment for you and connect you with a qualified repair specialist. He will come fully prepared to your house. He will carry all the parts, equipment and tools necessary salary for your particular project. As soon as our technicians are in your house, he will start trouble shooting and figuring out a way to fix your grill. You can trust us with BBQ repair in Shelltown because we have all the experience and skills needed for this. Our company has more than 30 years of experience behind it. Our technicians are factory trained and certified. They know how to handle a project of any magnitude. They have all the right tools and equipment needed for such a project. Also, we are always on top of the latest in new technology for such things and BBQ grills. Kitchen appliance technology is always evolving and as those appliances become more advanced you need a professional help. We are those professionals that can help you with any of your outdoor appliance repair needs. We try to make every repair appointment fast and convenient for our clients. You will be very happy with results! We would love to help you with all of your BBQ repair in Shelltown needs! Please call us at 858-433-0703 schedule an appointment or ask a question. Or fill out our short online form. We would love to hear from you and answer all of your questions.